disclaimer: All items included in this post were sent complimentary in exchange for my honest review. All opinions are my own. (I'll spare you the 'before' shots simply because things were just a bit too grizzly, for lack of a better word). A trio of products freshly picked for your pins! 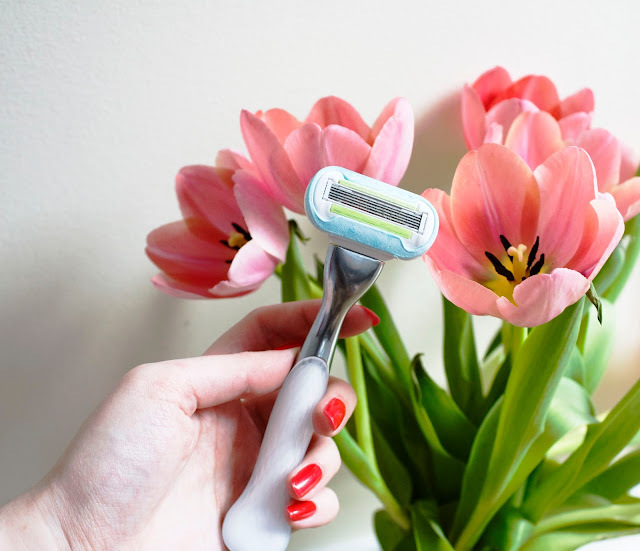 I've always reached for the razor when it comes to grooming, simply because waxing sessions add up fast, and I've experienced one burn too many in the past. Yet keeping my legs as smooth as can be was always a struggle. 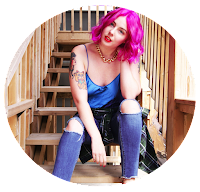 I often fell victim to razor burn, ingrown hairs and all the other unpleasantness that comes along with hair removal. I've recently put together a dream team of products that help keep my legs looking and feeling good, even days after shaving. Hopefully they'll work for your 'stems', too! A good shave starts with a fresh razor. So before you hop in the shower, toss out that razor you haven't touched since last summer. A dull blade will is a good culprit for nasty irritation and pesky stubble. This new edition to the Gillette Venus family comes with 5-blades and a premium metal handle. I find the handle on this razor not only gives it a more luxurious appeal, but it also makes it easier to control. Plus it's longevity and durability means less waste in the long-run! I also appreciate that this can be used with various razor cartridges from the Venus line of products. This one came with 2 extra cartridges, but it's reassuring knowing I can easily replace it with an alternate razor-head should this model be out of stock. If you're looking for a new way to shave, be sure to check this one out (plus you can score $3 off with this coupon!). I always cap off a fresh shave by scrubbing down my stems. 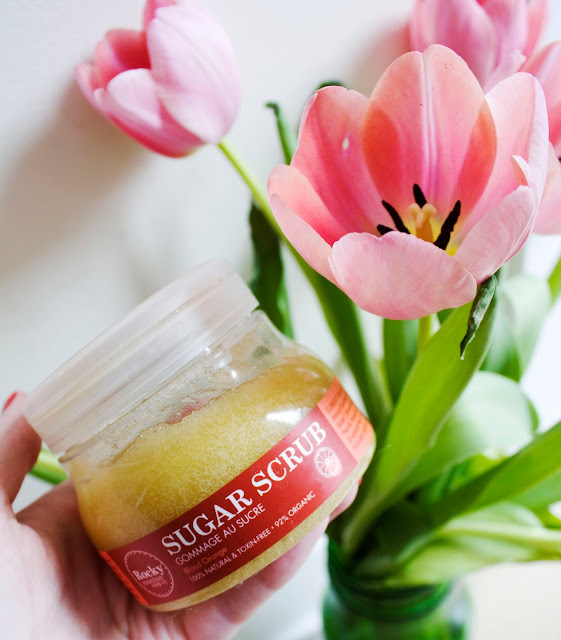 I recently received this sugar scrub from the Alberta based Rocky Mountain Soap Company, and it immediately found its way into heavy rotation in my shower. This scrub does a great job of not only removing dry flakes it also helps to nourish the dehydrated skin beneath! I step out of the shower feeling silky smooth, and not one bit greasy. Plus I don't have to worry if I nick myself with the razor; this doesn't sting at all! The blood orange fragrance is invigorating and decadent, and lasts on my skin even after toweling off. Nothing says spring like a freshly squeezed citrus scent, if you ask me! My skin has become a lot more sensitive these past few years, and especially so after a shaving session. Thankfully this body wash is both ultra soothing and intensely moisturizing, so I can lather up without dreading irritation. If you're familiar with Dove's line of body washes, you'll recognize the big, frothy bubbles this creates. A little dollop is all you need on your bath pouf, and you'll get full body coverage! 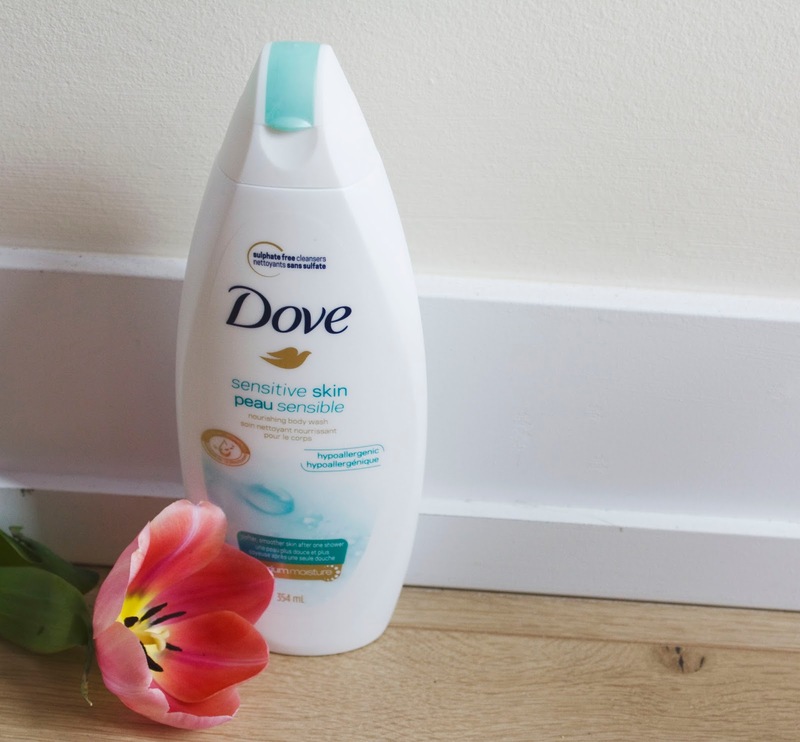 My only note for this product is that while it states it is 'Unscented' on the label, I did catch of whiff of that signature Dove soap fragrance. While it is very mild, be cautious if you are super sensitive to scents. I hope this trio helps you tiptoe through the tulips this season without a care in the world! What do you use to help keep your skin smooth after shaving? Do you prefer to shave or wax? Tell me in the comments! !